Amateur Bodybuilder Of The Week: Gauntlet Gains! Jeremy's body went through the ringer and came out ripped! See why a PHAT variation is his preferred method for powerful gains! I was a huge fan of pro wrestlers at age 13 and admired their freakish muscles. I wanted to look like them, so my brother and I begged our parents to let us join a wrestling school. They agreed, so we jumped into the ring and had a blast. We had a bench in the basement with cement weights. My stepdad told us that push-ups, curls, and sit-ups would build big muscle, so that's what I did. After a couple months of basic lifting, I noticed minor gains, but nothing drastic. I started to research, stumbled on Bodybuilding.com, and everything took off. I spent hours reading articles and learning new exercises. It became my passion and I loved going online to read new articles. I was never interested in other sports, just bodybuilding and wrestling. By age 14, I joined a gym because I couldn't work out with cement weights anymore. The first gym I joined was Gym's Place in Stratford, Ontario. It was literally underground with no windows and all the weights were old steel. When I first walked in, I saw the owner, Kevin, who was massive. I was very impressed. He saw that I was new and offered his help during my first week in the gym. It was a bodybuilding gym. A former Mr. Canada trained there and almost everyone was massive. I was intimidated at first, but everyone was welcoming, friendly, and helpful. It was an amazing atmosphere and I learned lots from everyone. I stayed at the gym for four and a half years before I moved to Toronto, but I'll never forget that place. I grew out of wrestling and decided to be a police officer at age 19. Bodybuilding changed my life and will always be part of me. I have "No Pain No Gain" and a dumbbell tattooed on my forearm as a reminder of the pain and sacrifice I put into the gym. 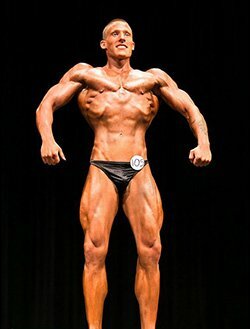 I decided to compete in June 2013 and contacted BodySpace member demonwareltd (Stan). It was an amazing experience leading up to the show and I learned lots from Stan. I went from 207 pounds with lots of body fat to 168 pound of lean muscle. Looking in the mirror and seeing changes was a great feeling, but stepping on stage for the first time was the best. The work and sacrifice finally came together and meant something. I placed first in my weight class at the UFE Showdown in London, Ontario. It was surreal to hear my mom, girlfriend, and family cheer me on. I could tell how proud they were of me. This changed me forever and I have no reason to slow down. I've tried many training methods, but the program that worked for me was PHAT (Power Hypertrophy Adaptive Training). My coach, Stan, put me on PHAT in October 2012, and I used it leading up to my show. I changed routines lately to add variety, but here's what helped me prepare for the stage. I hit abs three times per week, but don't use a specific routine. My passion for bodybuilding emerged when I was 13 years old and started watching wrestling. Seeing big guys on TV made me want emulate them. I didn't know what bodybuilding was at the time. All I knew was that these guys were big and I wanted to look like them. I started buying Muscle and Fitness magazines and followed everything exactly. I found Bodybuilding.com later and it motivated me more. Seeing the Teen Amateur of the Week features inspired me to grace the site. I decided to compete in bodybuilding to prove that I could do it. It seemed natural to me because I've always been in the gym. 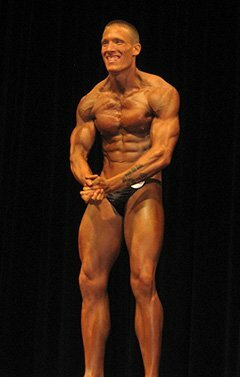 Reading logs for others on the Bodybuilding.com Forums pushed me to compete. The contest prep section is full of knowledgeable people going through the same experience as I, so it made me think I could do it. Inspiration stemmed from the people around me. On days that I didn't feel the best, my buddies, Alex and Stephan, were always there to push me. My girlfriend helped out. I'm extremely grateful to have people in my life who care about my goals and push me to reach them. Stan was a huge inspiration and helped me get fired up for dreadful weeks of prep. Everyone who commented on my prep log inspired me. It's amazing what kind words from a complete stranger will do. 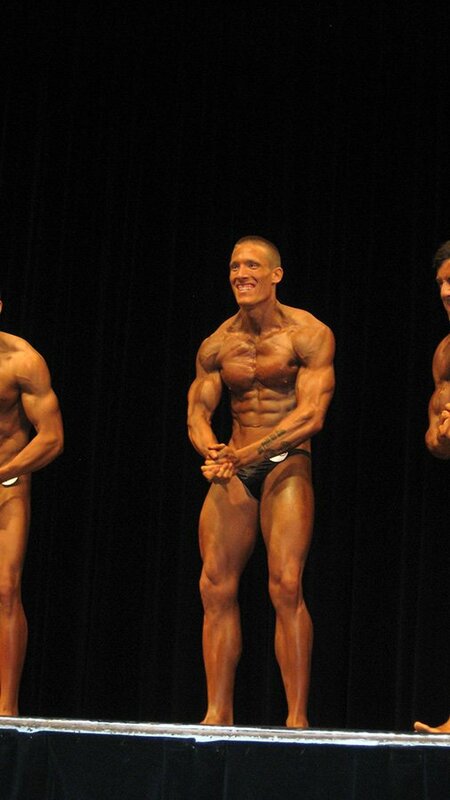 My future bodybuilding plans are to compete in a Natural OPA show on October 12, 2013. Then I'll be in the offseason until November 2014, where I'll compete in the UFE North American Championships. I might do an OPA Provincial show next September if I qualify in October. My end goal is to be the best I can be. It would be an honor to become a pro with the UFE. That's my main goal. Follow through with your goals. When I first started this journey, I never thought it would lead me through this amazing experience. My life is forever changed now. If I gave up or decided not to go through with it, I would've missed out on so much. My favorite bodybuilder is Frank Zane. He has the perfect physique and is what I hope to achieve. He had amazing conditioning for his time, and while he was not a mass monster, he looked great on stage and had amazing proportions, symmetry, and definition. I wouldn't be who I am today if it wasn't for Bodybuilding.com. I joined in 2004 when I was 13 years old. 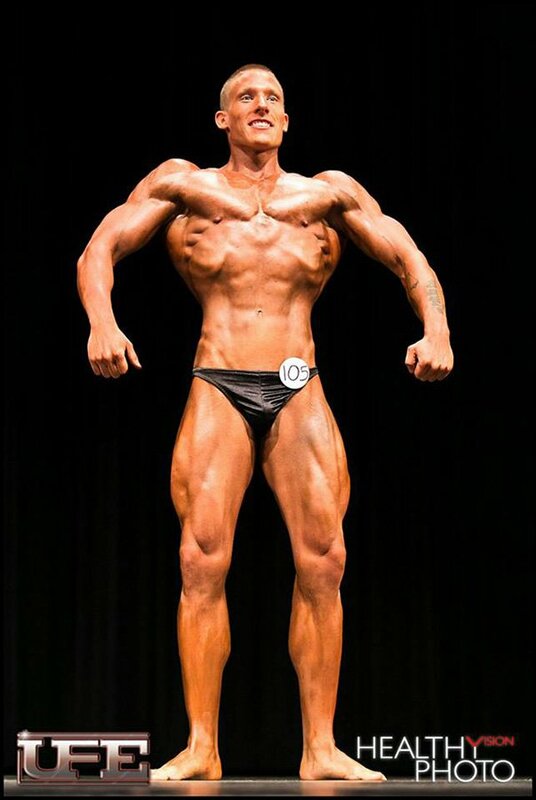 Now, at age 22, Bodybuilding.com is still my go-to site for information and motivation. The articles and forums are amazing. I'm on the forums every day reading logs and updating my own. Having a community where everyone helps and pushes each other is very inspiring. I cannot say enough about how helpful this site is. To top it off, it's free! I recommend Bodybuilding.com to everyone. It's almost as important as your diet!